Seeing strong growth potential in Southeast Asia, NatureWorks opened its Asia Pacific regional headquarters in Bangkok this January and is moving aggressively to develop sales channels in the region. BANGKOK, May 8, 2013 — NatureWorks, the world’s leading supplier of biopolymers with Ingeo™ fibers and plastics made from plants, not oil, has named PTT Polymer Marketing Co., Ltd. (PTTPM), the marketing arm of PTT Global Chemical Plc., as its Ingeo distributor in Thailand and Vietnam. PTTPM will bring Ingeo to its broad base of thermoformers, film extruders and injection molders, initially focusing on the packaging and foodservice ware industries. The agreement with PTTPM follows soon after NatureWorks opened its Bangkok regional headquarters and shows NatureWorks moving rapidly toward sales channel development in Southeast Asia. Global business leaders see the significant growth potential in this region as incomes rise and the middle class expands. Ingeo emits 60 percent less greenhouse gas and requires 48 percent less energy to manufacture into resin as compared to such plastics as PET. Ingeo offers converters and brand owners stable pricing as compared to the volatility of the plastics made from petroleum. Ingeo food service items, such as flatware, cups and utensils, are typically biodegradable in industrial composting facilities – enabling the diversion of organics from landfills, where the composting infrastructure exists. 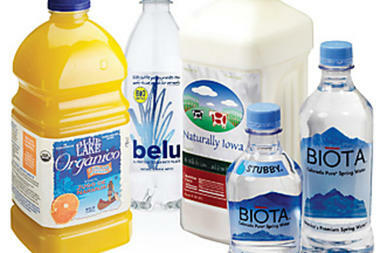 Rigid and film-based Ingeo packaging delivers performance advantages. For example, clamshell packaging made with Ingeo requires 20 to 30 percent less material than a comparable package made from PET.A sampling of current Ingeo solutions can be found online in NatureWorks’ Ingeo LookBook. For more information about NatureWorks and Ingeo, visit www.natureworksllc.com.